The very first 1930 FIFA World Cup did not feature any African teams since none of them even entered. However, Egypt made history as the first African nation that ever applied for qualification for the 1934 FIFA World Cup. Back then it was single elimination, and they were knocked out by Hungary. While their run ended early, the Pharaohs did leave in pride being the first African team to score goals in the World Cup. Abdulrahman Fawzi scored twice and could have had a total of 4. A referee ruled offside on one goal and then another goal was given to Hungary despite an obvious foul where the Egyptian goalkeeper was knocked behind the goal line from physical contact. On top of that, the goalkeeper suffered a broken nose. How could this not be ruled a foul? 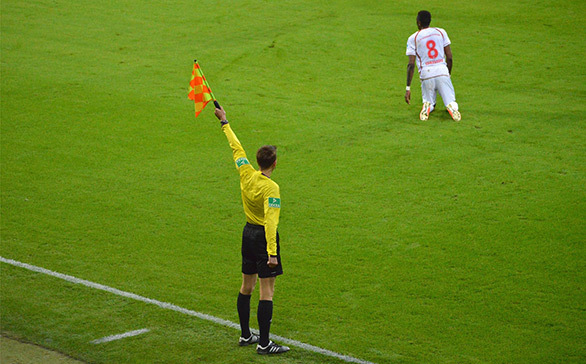 All the fans in attendance were outraged that the referee ruled it a goal instead of a foul. There was a great deal on criticism on the referee for his actions who admitted his ruling helped Hungary proceed to the next round. There was a dry spell of African representation with no team being part of the World Cup until 1970. This was mainly due to the limited 16 competing spots and only 1 spot going to CAF teams. In 1966, out of the 17 teams that entered the qualification, 2 were disqualified and the remaining 15 African nations withdrew in protest because FIFA only allocated 1 spot for 3 continental regions (Africa, Asia and Oceania). This was a huge discouragement to African teams who tried to qualify for several decades but never made it to the World Cup between 1938 to 1966. In 1970, the Atlas Lions of Morocco had to play 10 matches to secure the single CAF spot in the World Cup. The most shocking thing is literally a coin toss allowed them to qualify over Tunisia. They were placed in a group with tough competition for their first appearance - West Germany, Peru and Bulgaria. Against odds, they became the first African team to score a point in the World Cup in their assigned group. They left the tournament with Houmane Jarir and Maouhoub Ghazouani scoring 2 goals for their team against 2 different opposing teams, West Germany and Bulgaria. One could only imagine the excitement for Moroccans when Houmane Jarir scored a goal against the Germans. In 1974, Zaire had no trouble qualifying for the World Cup. The Leopards of Zaire were impressive in defeat against Scotland who even admitted they underestimated them going into the match. Their next opponent, Yugoslavia, had them all figured out and dominated them 9 - 0. In their final game, the were still unable to score a goal against defending champions Brazil and went back home scoreless when they scored a whopping 18 goals total in their qualifying matches. Tunisia made the cut for the 1978 FIFA World Cup by eliminating Morocco along their way in the first ever penalty shootout in qualification history. Many expected them to have the same fate as Zaire in 1974 but they certainly fooled everyone wrong. Their coach believed in the team by encouraging them to play aggressive and not give their opponents too much respect. The motivating pre game speech gave the team a remarkable amount of confidence that helped them become the first African team to win a World cup match with a 3-1 victory over Mexico. Still with another loss and draw, they did not proceed to the next round. The 1982 FIFA World Cup was the first tournament with 24 teams along with 2 spots for African nations which featured Algeria and Cameroon. The indomitable Lions of Cameroon surprised everyone but remaining undefeated with 3 draws. However, Italy had the advantage of 1 goal in the series and advanced on while Cameroon was eliminated. Algeria scored a magnificent upset over West Germany and had another surprised victory over Chile. However, the European teams in their group, West Germany and Austria, played a rather suspect match which resulted in many accusations that the game was fixed. If West Germany beat Austria by 1-0 or 2-0, both Europeans would continue to the next round. The match outraged all fans, including supporters of the 2 European teams. Needless to say, Algeria was eliminated and tried to protest the outcome. Since neither team broke any rules, the result was overturned. FIFA did take action and changed to rules so the final two games in a group were played at the same time to prevent any collusion between teams. It was certainly a tough pill for the Desert Foxes (Algeria) to swallow since they were eliminated despite winning 2 matches in their group. With the availability of 2 spots, 29 African countries battled it out to try to qualify for the 1986 FIFA World Cup. Algeria made the cut again, becoming the first African football team to qualify back to back (1982 and 1986). Unfortunately, their performance only shadowed their 1982 appearance where they drew 2 losses and 1 draw. Morocco was the other team to qualify making it their second appearance. The team stood their ground well with 2 scoreless draws against Poland and England and a 3-1 win over Portugal. They became the first African team to make it to the second round. In their second round match with West Germany, things were very competitive and it was looking like the match was on it was to a scoreless draw. In the 87th minute, West Germany scored and sent the Moroccans home. However, their goalkeeper, Ezzaki Badou received a lot of praise for some amazing saves in the match. What Team Had The Biggest Achievement? As you can see, it was tough for African nations. With the limited number of qualifying spots, it made it rather difficult to make it to the world championship level and then face mainly European teams who had the most qualifying spots out of any region in the world. It’s was disappointing to see 15 teams withdraw in protest for the 1966 FIFA World Cup, resulting in no team representing Africa. Over the next couple of decades, new African nations would showcase their talent in the FIFA World Cup. 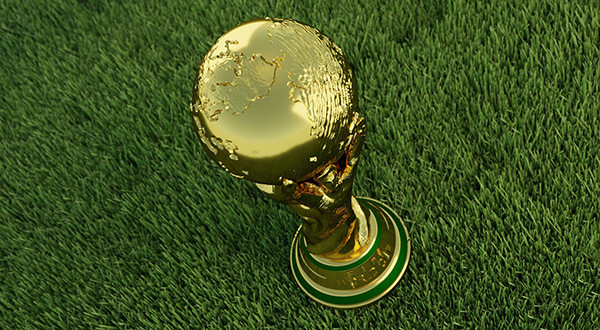 So far, which team do you think had the biggest achievement in the FIFA World Cup? Leave and comment and let us know! Look out for our next post where we cover the rest of the history up to 2014 and preview what to look out for in the 2018 FIFA World Cup that is held in Russia.